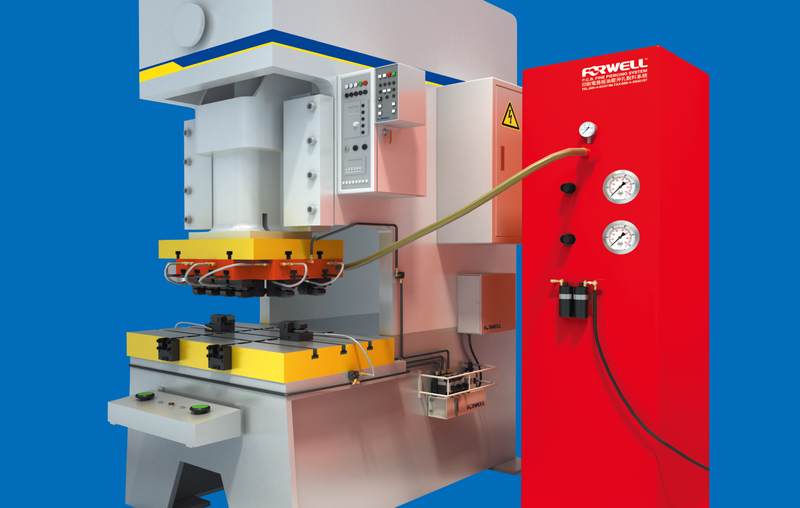 Forwell’s PCB Fine Piercing Systems combine a hydraulic power unit charged with air pressure, a piercing plate and a quick die change system. 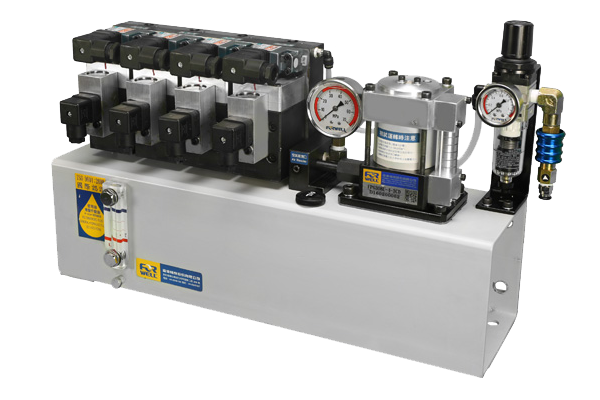 This system uses hydraulic pumps to activate the pressing operation, either using automatic or manual control. 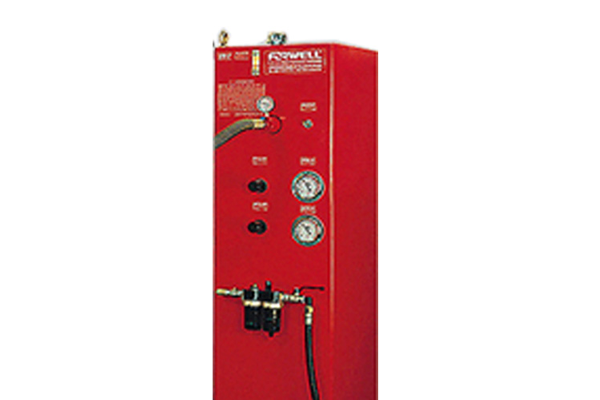 Also due to the hydraulic power unit, this system is very energy efficient and highly reliable, and with its simple structure easy maintenance is ensured. 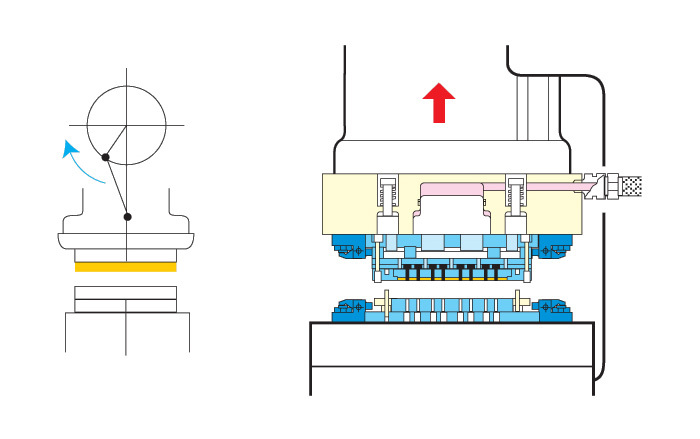 Moreover with this system easy adjustments can be made to the operating pressure according to the PCB material and specifications, generating efficient pressing and excellent results. 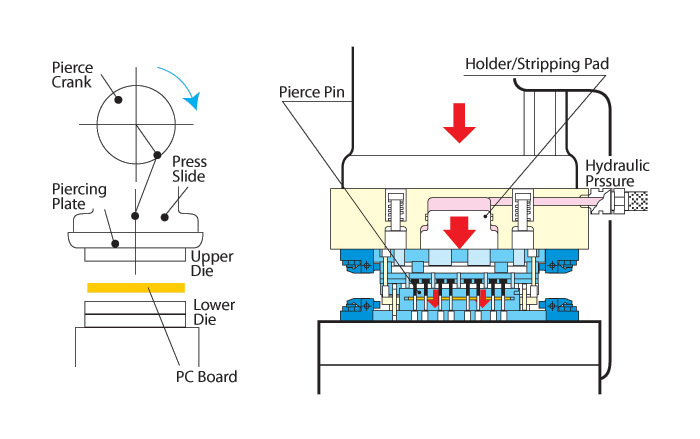 Additionally these systems are perfect for high quality, high accuracy piercing and stripping of PCB’s, and with a quick die change system, increased productivity is guaranteed. 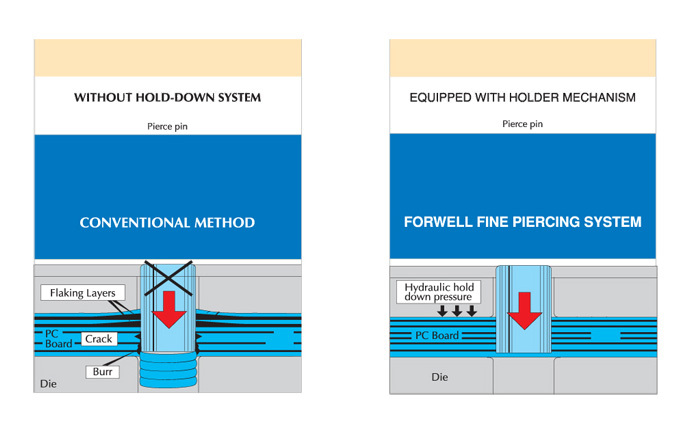 Forwell’s PCB Fine Piercing System is available in a range of different models to suit your PCB Piercing and Stripping operations. 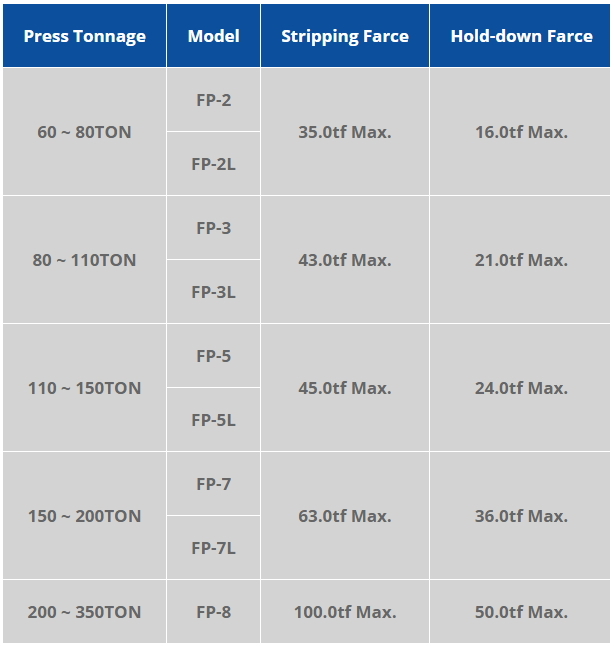 Please view the table below to select a suitable model depending on the required press tonnage and stripping force. 60 ~ 80TON FP-2 35.0tf Max. 16.0tf Max. 80 ~ 110TON FP-3 43.0tf Max. 21.0tf Max. 110 ~ 150TON FP-5 45.0tf Max. 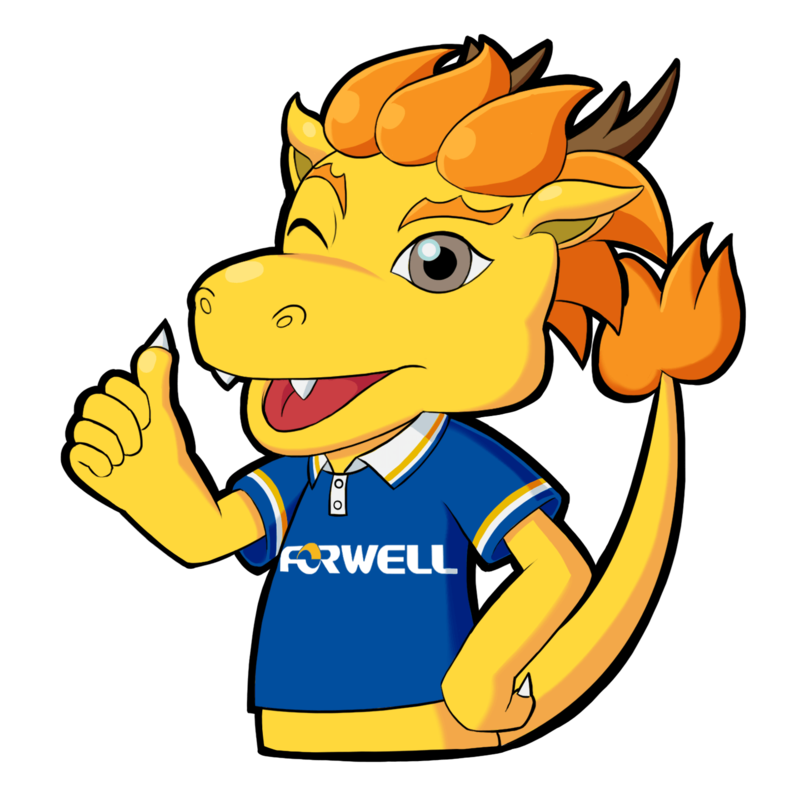 24.0tf Max. 150 ~ 200TON FP-7 63.0tf Max. 36.0tf Max. 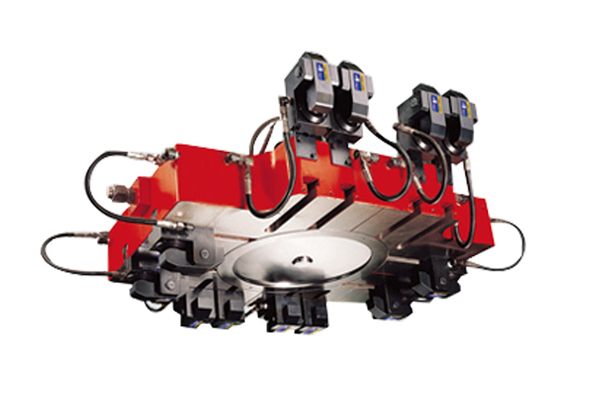 200 ~ 350TON FP-8 100.0tf Max. 50.0tf Max. 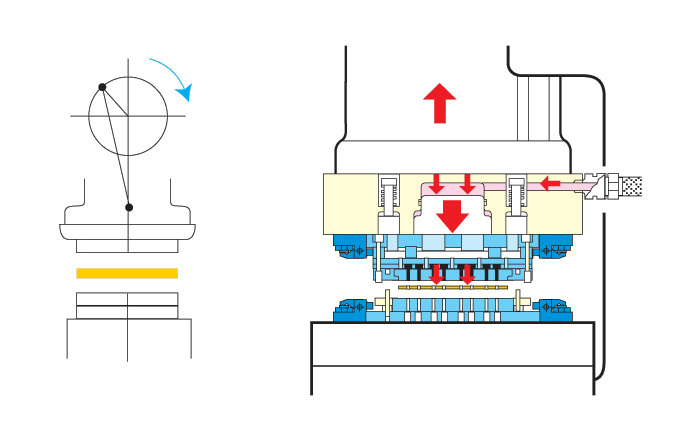 The power unit powers the hydraulic pump which keeps the die clamps in place. 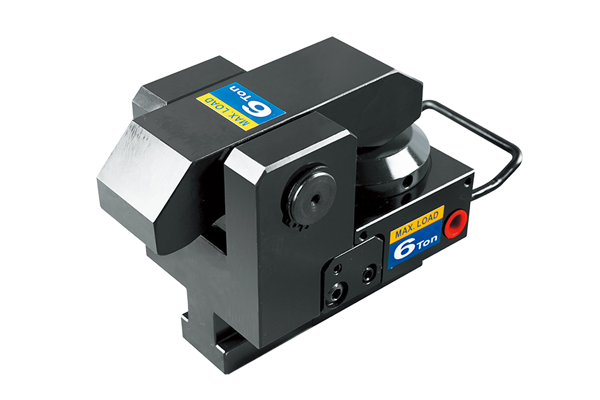 This power unit is self-contained and it yields enough hydraulic power to suit the toughest clamping requirements. 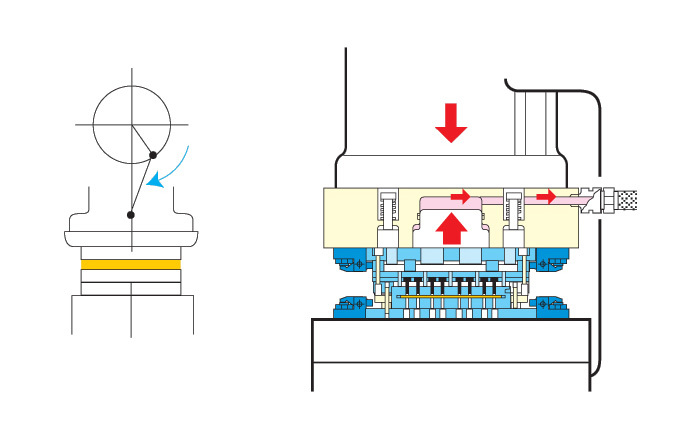 Furthermore it is very simple to adjust the hold-down force, stripping pressure and to select between a 0° or 180° stripping position. 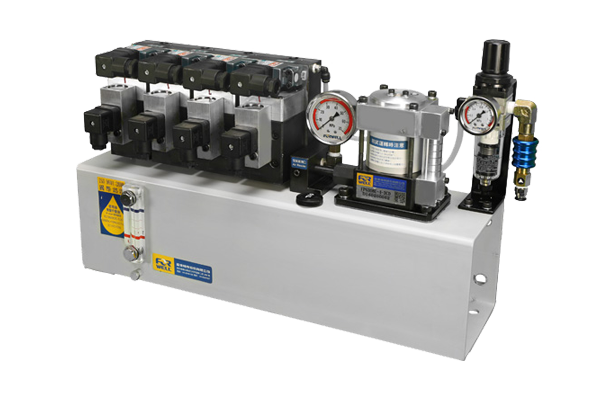 The power unit is also able to provide the different pressures needed for different circuits in the system.